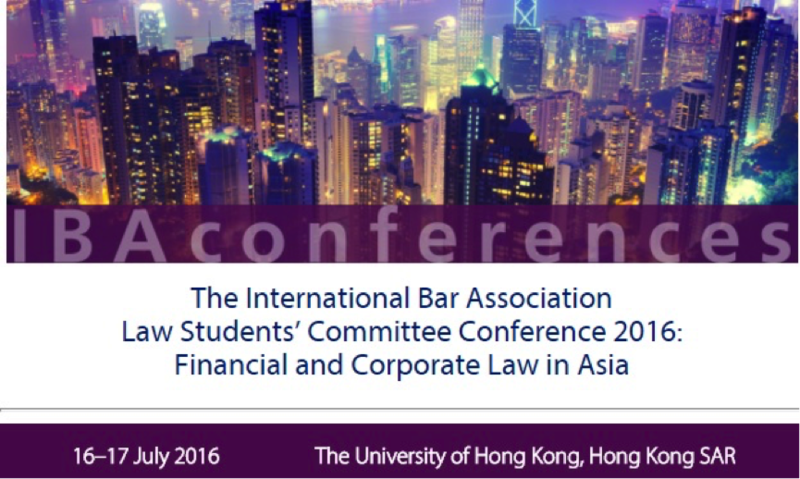 The International Bar Association’s Law Students’ Committee is hosting a conference in partnership with the Law Society of Hong Kong and the Asian Institute of International Financial Law of the University of Hong Kong from 16-17 July 2016. 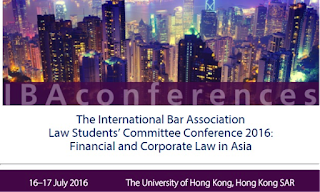 This two-day conference will focus on the dynamics, development and topical issues of financial and corporate law in Asia. Discussions will be led by global legal experts and specialists in related fields in a series of lectures, panels and workshops. Delegates will be able to network with speakers, lawyers and other delegates during the reception at Lily & Bloom, the buffet lunches, and the coffee and tea breaks. There will also be a debating competition for law students only. Students interested in finance and corporate law (not only for law students), business students, academics and practitioners (including trainee solicitors and pupil barristers). Solicitors and trainee solicitors will be able to apply for CPD/CLE points. Please visit our website at http://www.ibanet.org/Conferences/conf749.aspx to register for the conference and to see our list of speakers. Deadline for early bird registrations: 1 July 2016.